Can Exposure Create Normalcy for the Disabled Community? Can someone have a disability and still lead a normal life? It’s a question many Americans ask themselves as they find ways to live life in the wake of their disabilities. While physical and mental limitations can turn daily habits into difficult challenges, their circumstances come with another hurdle; one that is psychological. How do you find equal ground in society when everyone views you as different? A wide range of disabilities impacts our population. In the United States alone, 48.9 million people have at least one. While it may not seem like much compared to the more than three hundred million citizens within this country, we adopt a new perspective when we realize one in every five people we encounter fall under this category. Disabilities are common enough to be found in every restaurant, school, coffee shop, and public space. Yet all too often we treat people with obvious disabilities as anomalies within our society. Sometimes their differences are celebrated; other times they are ostracized. We encourage the former and reprimand the latter, but what about the in between? A few years ago, The New York Times published an opinion column where individuals with various disabilities shared how their circumstances impacted their quality of life. Their feedback is a compilation of pros and cons as they learned to live with the limitations or difficulties spurred by their circumstances. Yet all of them were unified in a desire to be seen as normal by others. 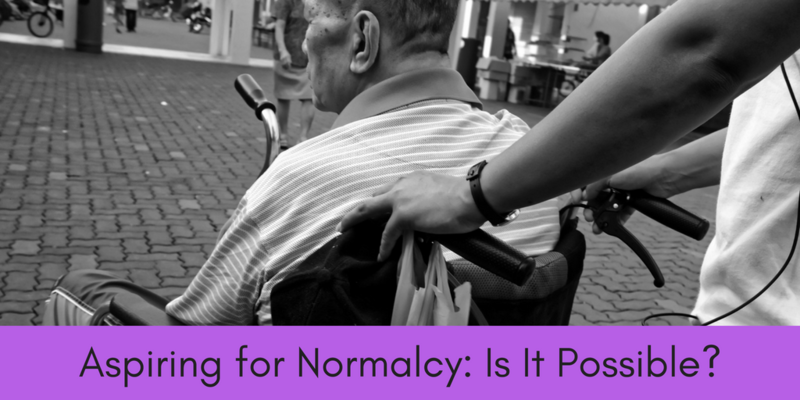 Obviously, creating a sense of normalcy doesn’t mean pretending one’s limitations don’t exist. Instead, it’s about inclusion. Ideally, this is achieved by creating a society where a person is viewed not through the lens of their disability, but rather for who they are. In order to create this normalcy, we have to tackle both the physical and psychological challenges posed by disabilities. This starts with two things: accessibility and acceptance. A large part of Dreamscape Foundation’s mission is dedicated to making everyday life more accessible. Through technological advancements and innovative solutions, we are slowly bridging this gap. Yet acceptance is a slightly different beast to battle. 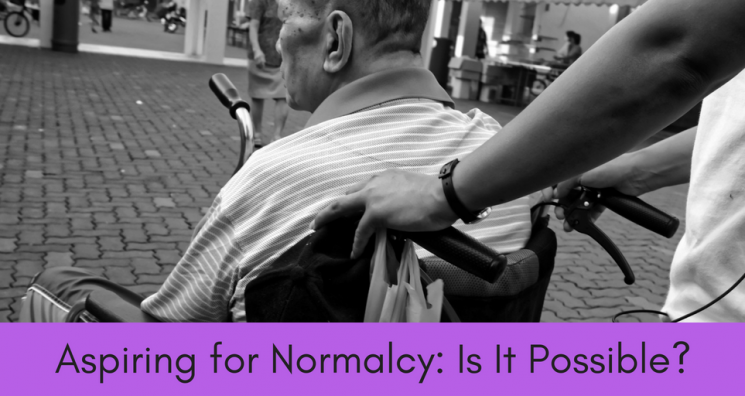 How do you normalize disabilities? The answer, in part, is through exposure. By integrating various disabilities into our everyday society, we change the overall perception that they make people“less than” normal. If you look around, you’ll see examples of this today. From inspirational role models to even action heroes like Professor X and Daredevil, there are many figures in our culture who show the world that being disabled doesn’t mean being less capable. Yet too often we think of these people as the ones who beat the odds. We marvel at their success instead of believing that anyone in their shoes can achieve the same things. This is where we as a society need a shift in mindset. When we create a perception that disabled individuals are capable of not only living but thriving, within our society, we break down mental barriers that hold them back. As a society, it is our duty to give hope to others while casting light, not on the limitations of disabilities, but rather the potential of individuals in spite of them.